﻿A process previously thought to be mere background noise in the brain has been found to shape the growth of neurons as the brain develops, according to research published in Cell Reports. 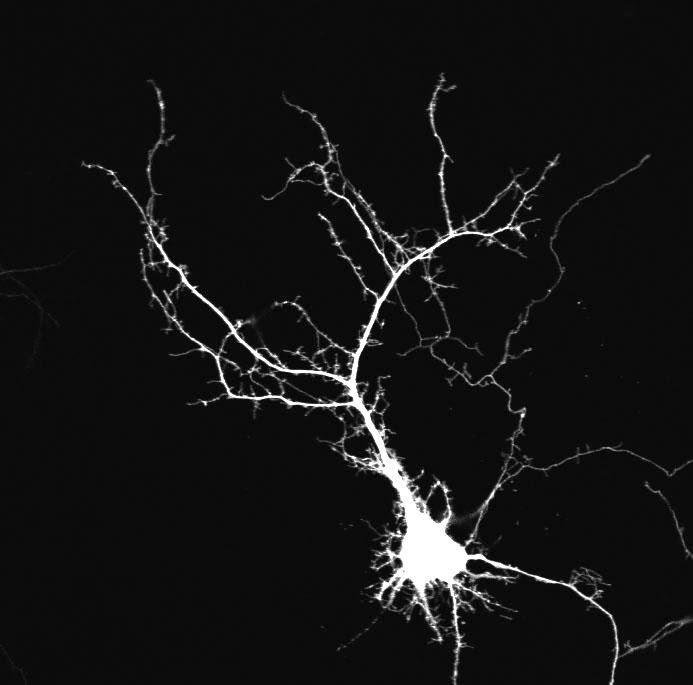 The work has important implications for our understanding of how neurons develop and connect with each other, which in turn could be relevant to treating neurodevelopmental disorders that affect synapse development, such as autism. Spontaneous release of neurotransmitter by neurons in the brain previously had no clearly defined function but researchers noticed that considerably more spontaneous release events happened during neuron development. It now appears that spontaneous release of the neurotransmitter glutamate may cause the processes of a growing neuron to branch, just like the branching of a tree, enabling it to connect with countless other neurons via chemical connections called synapses. Synapses are responsible for regulating the passage of electrical signals through the brain. Branching allows the neuron to form multiple junctions that can connect it to other neurons and so is essential for building the network of neurons that form brain structure. This new research suggests that a key signal for a neuron to branch into a new dendrite comes from spontaneous release events and that the cue occurs much earlier in the neuron growth cycle than previously thought, even before synapse formation. Based on material originally posted by King's College London.